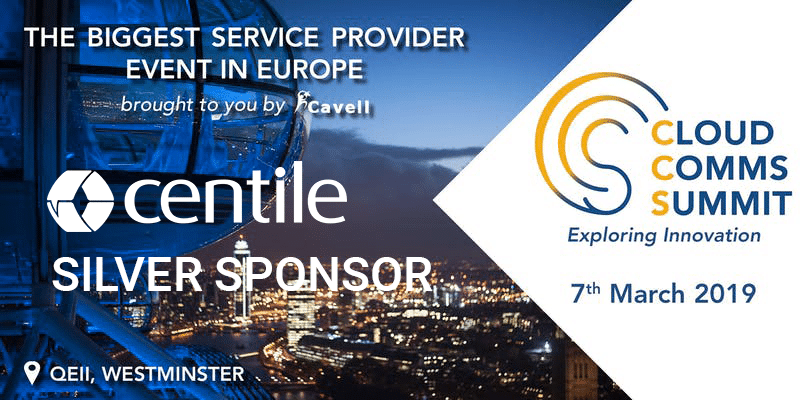 Centile Telecom Applications is sponsoring the Cloud Comms Summit London organized by Cavell Group. Established in 2015, the Cloud Comms Summit is the leading and largest vendor-agnostic event focused on the Cloud Communications industry. The 7th of March 2019 marks the 10th conference in the Cloud Comms Summit series, where over 350 members of the cloud communications community will gather to keep up with a range of burning topics, share best practices with key local and international players, catch up with their peers, meet old friends and make valuable new connections. With a focus on innovation, the event will explore first-rate solutions to fundamental industry challenges, ground-breaking technologies from the open-source trailblazers, eye-opening commercial successes and thought-provoking strategies. Bertrand Pourcelot, DG @ Centile will participate to the 11.30 panel discussion “Enabling Innovation”. Please view the full agenda.